Discussion in 'Indian Navy' started by karthikkakoor, Dec 9, 2015. Sailings like a ghost and furtively deep inside the seas these are the decisive weapons of war ever invented by the mankind. These naval platforms are the weapons of apocalypse and can wipe out continents at the press of a button. Indian navy operates a sizable fleet of these technologically sophisticated pieces of machinery. 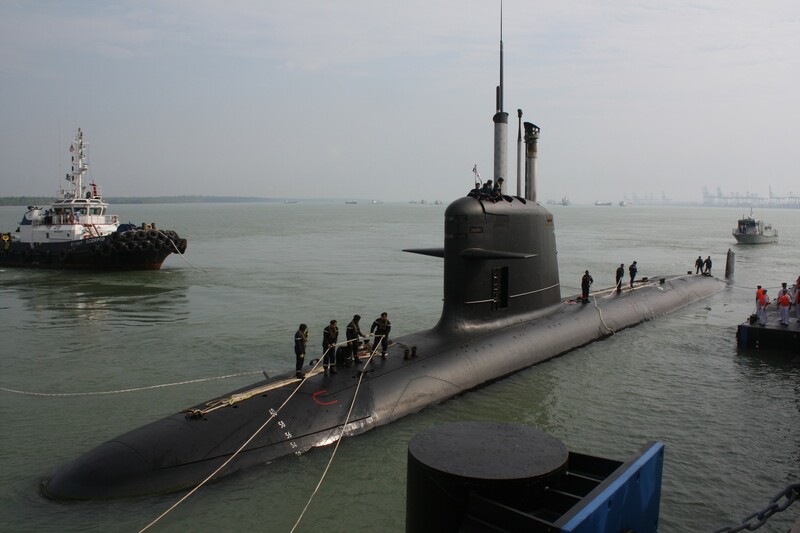 The underwater force of the Indian navy is composed around the diesel-electric attack submarines. 13 diesel-electricattack submarines and 1 nuclear powered attack submarine operate under the Indian Navy. For a country with more than 250 kilometres of coastal waters, an underwater force consisting of 14 submarines is extremely diminutive. India is a rising global power and India’s interest in its resource rich backyard ‘Indian Ocean’ is on the rise. Plans of extending the existing EEZ from 250 kilometres to at least 330 kilometres are adrift. With India’s arch rival ‘China’ lurking in the IOR, it is crucial India deploys a sizable fleet of the underwater force in the region. Submarines are a key component in imposing a naval blockade on an enemy. China imports 80% of its oil and commodities through sea routes, these international shipping lanes pass through the strategic Malacca Straitsin the Indian Ocean. The Andaman and Nicobar Islands are strategically located right at the mouth of ‘Malacca Straits’ and thus a naval blockade imposed at this point can cut off all the major supplies to China. This will cripple China’s ‘war sustainability’ to a great extend. The blockade can be imposed only by maintaining a sizable fleet of both surface combatants and submarines. Even though India operates highly advanced surface combatants the submarine force has been a matter of worry for the navy. To address the dwindling number of underwater combatants Indian Navy constituted the P-75 and theAdvanced Technology Vessel (ATV) project. The ATV project guaranteed the delivery of indigenously developedNuclear Ballistic submarines. The real need for the navy was Diesel-Electric attack submarines which could operate effectively in the shallow waters surrounding Indian coasts. India operates a fleet of aging Kilo-classsubmarine imported from Russia in the late 1980’s. Constituted in 2005, P-75 project was to provide Indian navy with the latest diesel-electric submarine. A tender pegged at around US $3 billion was floated to acquire six state-of-the-art conventionally powered submarines.DCNS of France; Amur Shipyard of Russia and HDW from Germany competed in the project. After a thorough evaluation program, DCNS was awarded the contract to supply India with six of its diesel-electric powered ‘Scorpene’ submarines. Initially, two of the six submarines were to be built in a French shipyard and the rest four in an Indian shipyard, under an agreed ToT agreement. The project agreement was reversed and it was decided to construct all the six submarines in an Indian shipyard. DCNS collaborated with the Mumbai based Mazagon Docks Limited (MDL). MDL received a major boost to its infrastructural capabilities. A highly qualified team of marine engineers from DCNS, MDL and NDB started the scrupulous job of re-designing the Scorpene submarines for Indian conditions. Based on the Scorpenesubmarines, the Kalvari class submarines proved to be the most advanced submarines to be designed and to be contrived by any Indian shipyard. The Scorpene submarines were selected over the U214 submarines mainly for its potential to fire the Exocet anti-shipping missiles and with DCNS inclination to equip the submarines with Indian-made AIP systems. The first submarine of the class was laid down in May 2009. Due to holdups in the design and fabrication phase, the project is five years behind the schedule. The first breakthrough in the project came when the first submarine of the class, INS Kalvari was launched on 6th April 2015 by Raksha Mantri of India, Manohar Parrikar. The submarine successfully completed its harbour trials and also completed several controlled dives. INS Kalvari is expected was launched for sea trials on 30th September 2015, signalling a major breakthrough in the project. The submarine has satisfactorily completed several deep controlled dives and is gearing up to fire missiles and torpedoes in the near future. INS Kalavari is expected to be inducted to the force by September 2016. The Scorpene submarines are diesel powered hunter killer submarines developed by DCNS of France. TheScorpene can sail at almost zero noise underwater, thanks to its diesel-electric engines. This enables the submarine to tail enemy high value targets like the ‘aircraft carriers’ or ‘SSBN’s’ and gain acoustical and thermal images which are vital in war times. Powered by two diesel engines the submarine is capable of attaining a maximum speed of 37 km/h when submerged, and can cut through the waters at 22 km/h when surfaced. The diesel engines are complemented by two Jeumont-Schneider EPM Magtronic batteries which collectively churn out 2800 kW of power and this allows the submarine to operate ultra quite when tailing targets. The hull of the Scorpene submarines is fabricated with HLES-80 high grade steel, which can withstand extremely high pressure and allows the submarine to dive to depths up to 1200 feet. The hull of the submarine can be classified into three sections, the bow section containing the torpedo tubes, electric batteries, storage compartments and ballast tanks. 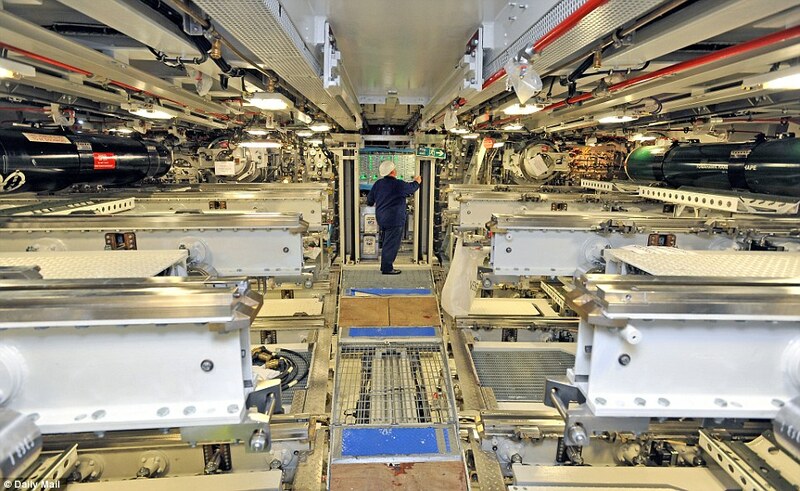 The midship of the submarine consists of control rooms, crew quarters and living area. The stern section of the submarine houses the main propulsion units, electric batteries, AIP units, control machinery and another set of ballast tanks. 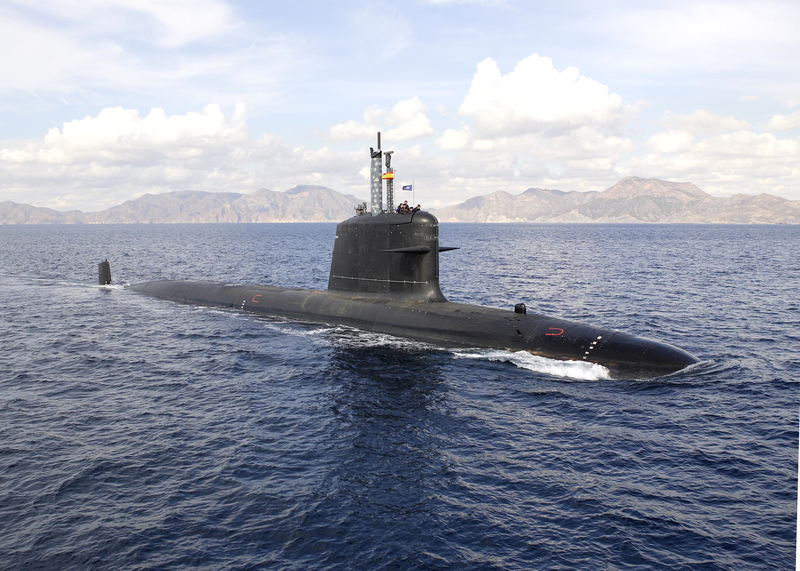 Scorpene is equipped with some of the most advanced electronic and sensor suites. These features clubbed with the latest machinery on board makes the submarine extremely nimble and efficient. The SUBTICS orSubmarine Tactical Integrated Combat System is a fully integrated tactical suite designed for the coherent functioning of various sub-systems fitted on the submarine. SUBTICS is packed with some of the latest acoustic sensor suites which are crucial in increasing the battle theatre awareness of the submariners. The submarine is also equipped with the latest optronic and navigational sensors, enabling the sub to sail through the waters effortlessly. The submarine is also equipped with environmental awareness and tactical navigation planning kits, which help in meticulous planning of sea lanes for the submarine to traverse in the unknown deep seas. Secured VLF/SHF communication channels and tactical data link enables the submarine to relay secured information over the network to other naval platforms. Scorpene submarines are equipped with Thales DR 3000 electronic warfare system. The submarine is also equipped with Sagem Series 20 Attack Periscope System (APS) and Series 30 Search Mast System (SMS). The primary radar system for the Scorpene’s is Sagem Series-10 compact submarine radar system which is a highly accurate and efficient system. The SONAR system of the sub is composed by the, Thales S-cube integrated sonar suite and passive ranging distributed array sonar. The last two submarines will feature a DRDO developed AIP system which will allow the submarine to remain submerged for days at a time. Primarily being a hunter killer submarine, Scorpene is equipped with six 533mm mts torpedoes which can strike naval targets with pin-point accuracy. The submarine can carry up to 18 black shark heavy weight torpedoes. The sub’s unique ability is to launch cruise missiles, which are capable of striking land targets. Scorpene employs the SM-39 Exocet anti-shipping missiles. The SM-39 Exocet missile is capable of striking targets up to 50 kilometres away. The missile can attain speeds up to 0.9 mach and can carry 165 kg high-explosive conventional warheads. The submarine is redesigned by Indian shipyards to house the BrahMos cruise missiles and the indigenously developed Nirbhay cruise missile. The submarine can carry up to 30 mines for mine laying missions. The submarine can be key addition for Intelligence seeking mission. Being capable of attaining high speeds the submarine can tail enemy targets and can collect key acoustical and thermal maps. DCNS will hand over five more submarines with a gap of 9 months for the Indian Navy. DCNS is also the forerunner in the recently constituted P-75I project. Tactical Frog, OneGrimPilgrim, LETHALFORCE and 2 others like this.